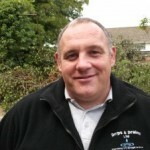 Blocked drains Brighton by Chris 01273 799882 0r 0791 7852384. .We have been unblocking drains in Brighton for over 28 years and we also cover the following areas at no extra costs Hove, Shoreham, Peacehaven, Newhaven, Saltdean, Worthing. Blocked drains Brighton cleared for a set price 0791 7852384. 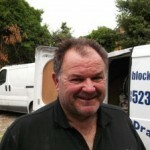 I have been clearing blockages in Brighton and the surrounding areas for over 28 years and drain cleaning & clearance. So there is no hourly/half hourly rate so you know what you are going to pay straight from the start. We have been clearing blocked drains for a fixed price for years, why pay another drainage company an hourly/half hourly rate and not know what your final bill will be until they finish ? We have been clearing blocked drains in Brighton for over 28 years and are very proud of the service we provide to our customers and the positive feedback we receive verbally and in written testimonials. We are a two man drainage company and we have over 61 years drain clearance experience between us , Chris has 27 years and Robert 36 years and we have all the drain clearance tools we need for every blocked drain in Brighton we come across. We both enjoy our jobs and this shines through when we are unblocking our customers drains in Brighton, I think it is because we are very confident in what we are doing and have all the years and years of drain clearance knowledge. We have a large selection of hand tools and machinery to unblock your drain and our customers pick up on our ability and see we know what we are doing which is what they want. We both get a great deal of job satisfaction when your customer is happy that their drain is running free, and they are happy with the service that we provided to them. We can provide you with a drain inspection survey in Brighton using our drain camera and experienced eyes to carry out a drain survey, we have both carried out lots of drain repairs and renewals and I would like to think that we have experience that is required to carry out the perfect inspection, we have not been trained for one day on using a drain camera and sent out, we have over 60 years knowledge and experience between us. We provide an emergency drain clearance and unblocking service of blocked drains in Brighton on a 24 hour 24/7 basis and we have all the right equipment to do the job quickly and right. We also provide drain inspections / drain CCTV survey’s. Thank you for reading my details.